Earth In The Outer Space With Beautiful Planet. Blue Sunrise. 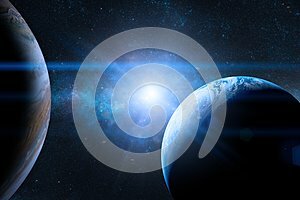 Photo title: Earth in the outer space with beautiful planet. Blue sunrise. Earth in the outer space with beautiful planet. Blue sunrise. Elements of this image furnished by NASA.